Wooden Toy Insect Yoyo is a wonderfully colourful Yoyo that will keep your little one entertained for hours. This Yoyo is nice and heavy and well balanced making them easy to master. 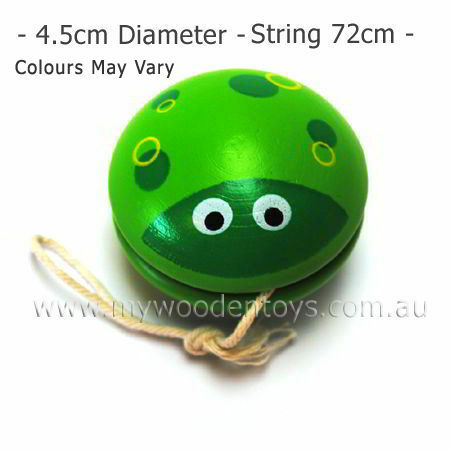 The string on this pretty Yoyo is 72cm long making it the ideal size for smaller children and ensuring the Yo-Yo doesn't hit the floor. Material: Wood, Child -safe paint, Cotton string. We like this because: "Yoyos are really fun and mastering them is a right of passage."